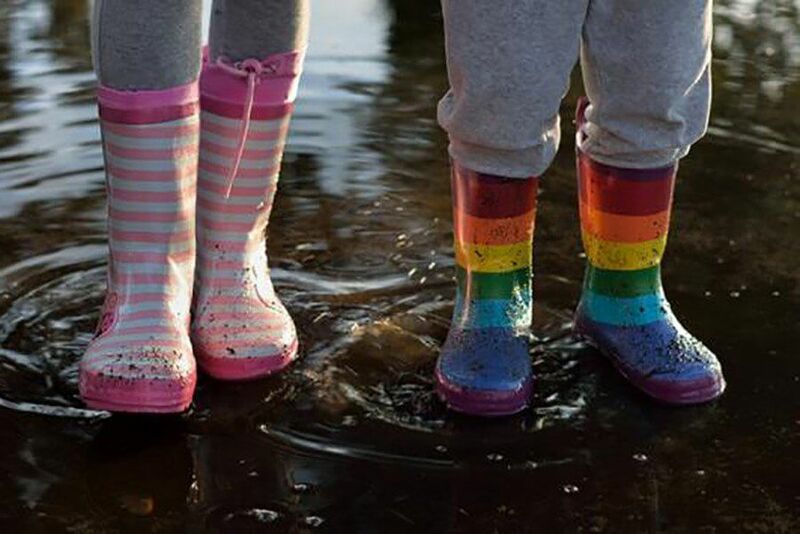 Since we are already mid-fall, yet it is still warm enough for you to enjoy gardening activities with your children, we thought you might like some kids rain boots options to protect them from rain and mud this season. 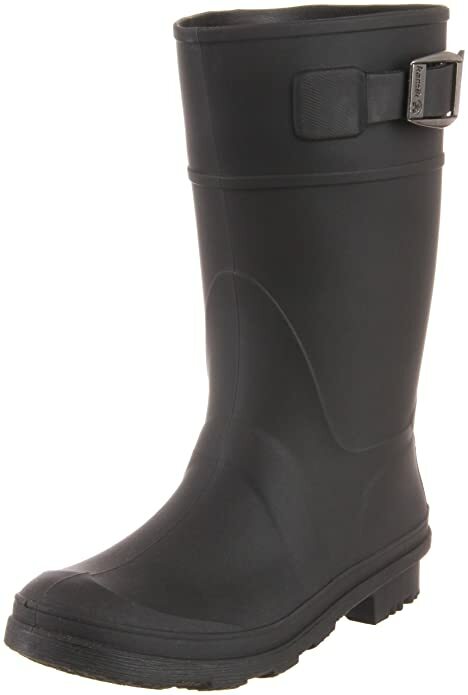 Perhaps one of the most resistant types of footwear, the famous Wellington boots are definitely going to keep your child dry and warm while he or she is helping you out in the garden. Without further ado, here are top three kids rain boots you should consider buying. The first option that we have for you today is available to purchase on Amazon for a price ranging from $14.99 to $59.99, depending on the size of the boot. Regarding size, you should also know that these boots come in two age options, one from 4 to 8 years, and one from 8 to 12 years. So no matter how old your child is, you can still buy him or her a pair of these lovely and resistant boots. They come in a myriad of colors, so they are suitable for every taste. Also, they have a synthetic sole and a bit of heel for some extra support. The entire boot is 100% synthetic rubber, which makes it completely waterproof. Even if it is designed to be practical, its makers also decided to make it look nice. To that purpose, they added a decorative buckle on the side, to make it look more fashionable. 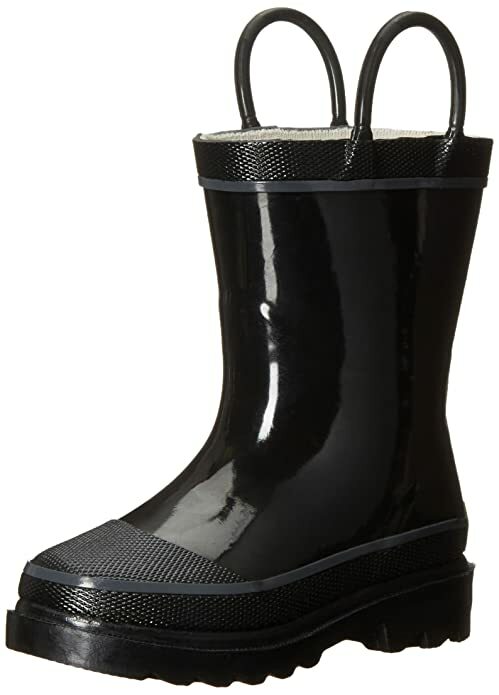 AAnother great kid rain boots option coming from Amazon is this rain pull-on pair of boot that you have to pay between $15.00 and $104.74 for, again depending on the size of the boot. You have three options to choose from, for kids between 1 and 4 years old, between 4 and 8 years old, and between 8 and 12 years old. Just imagine how cute your toddler will look wearing a pair of tiny rain boots. 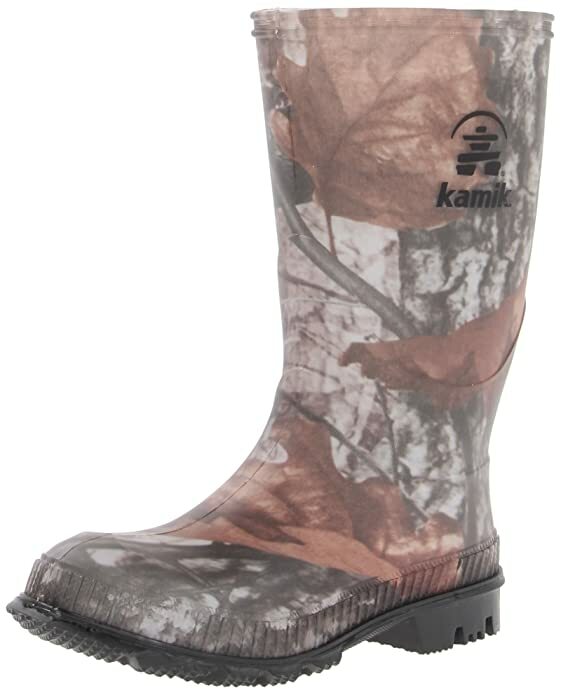 The boots are extremely sturdy and entirely rubbery, they are 100% waterproof, and their lining absorbs moisture. Perhaps the most interesting and practical things about these boots is that they have two side handles. So your child can easily pull them on and then off without your help. These boots that you can buy from Amazon ($9.99-$49.99) are an extremely resistant type of kids rain boots. So if you are looking for a sturdier material, you are going to like this one. They come in a variety of colors, and even a special camo print. Furthermore, they are waterproof, their interior absorbs moisture, and they have an EVA footbed. This makes for an extremely comfortable wear. Plus, despite all appearances, these boots are really lightweight, so they won’t inconvenience your child. Now that we’ve provided you with three resistant and beautiful kids rain boots to buy your child this fall, you can engage him or her in fun and practical gardening activities.